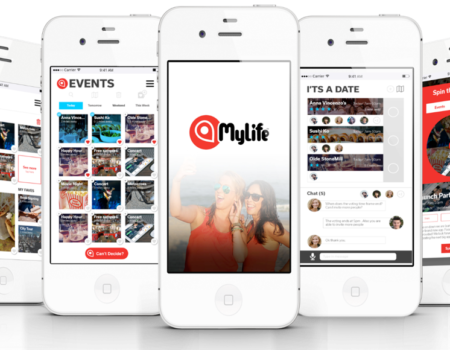 MyLife is a geolocation content aggregator and social publishing platform. Users get a variety of hyperlocal events or retailers specific to their interests provided by Artificial Intelligence (AI). User’s can then invite, chat, vote, plan, discuss, and reserve their fun evening out on the town. MyLife is a geo-location based application that allows a user to select interests that are hyperlocal to the User or a specific location. Based on those selections, everything from events, landmarks, local entertainers, or fun things to do are presented to the User. MyLife learns what is important to that individual by using artificial intelligence within the app to provide relevant events and things to do. Whether it’s a party, a local attraction, landmark, festival, concert, a local business, or just a night on the town MyLife presents information that is relevant and inviting. This new platform for entertainment will be coming to a device near you! We are currently in the throws of building a unique and invaluable service that you won’t want to miss. Contact us today to learn more and become part of MyLife as we disrupt, deliver, and provide fun to your phone. ©MyLife Mobile 2017-2018. All Rights Reserved.